My better half lost his wallet 2 weeks ago, after making a police report, he has to redo his ID card and driving licence. We went to 1Malaysia UTC to get these 2 things done within 2 hours. The fine for first time lost of ID card is RM110 and driving licence is RM20.00. While waiting for the cards to be done, our girl asked to go to the library situated at the next building, there is a 1M store too where I can find cheaper can food like sardine and condensed milk. 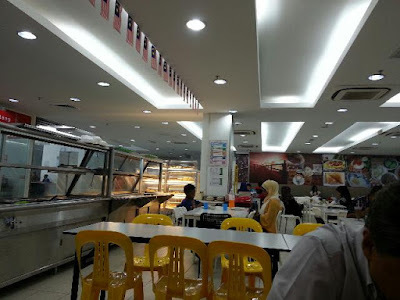 The eatery is just outside the 1M store, initially we just wanted to have a drink but ended up ordering food as early lunch at 11am+. I ordered the Gado Gado. 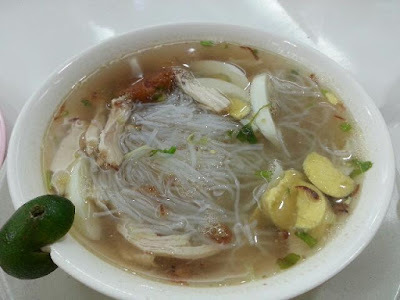 My better half spent his childhood time in Tawau, he is pretty sure that only those from Tawau will serve Gado Gado, after chit chatting with the lady boss, we confirmed that they are indeed from Tawau, a place famous for its Gado Gado. let's dig in to find out what's Gado Gado. It is served with lots of beansprouts, cucumber, boiled egg (halve), ketupat (rice cake), spread of peanut sauce and crackers, I feel full after eating this because of the rice cakes. The fine for losing ic is so expensive. Was his wallet stolen or just dropped accidentally? 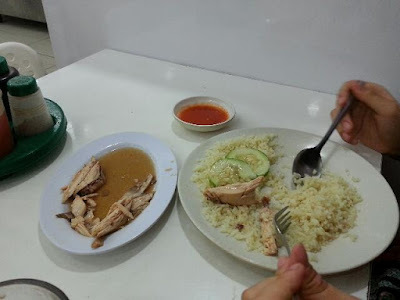 Usually I eat soto with nasi himpit. 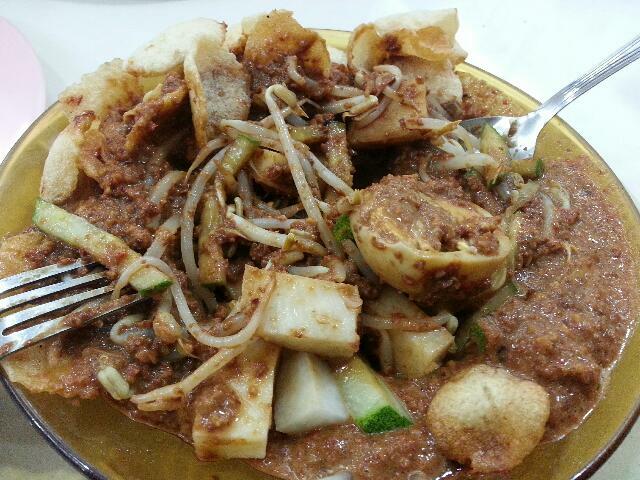 The gado gado looks good. I like to eat the nasi himpit in it with the peanut sauce. It is very troublesome when a wallet with all the documents is lost and have to pay a heavy fine too. I love the soto and gado gado too! 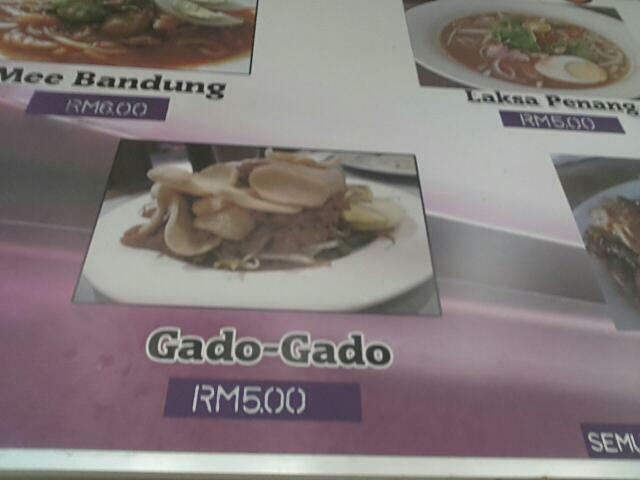 Gado2 is an indonesian dish no? Aiyo what a pain to redo all those important documents. Nvm just do it. This is fast that he could get both replacements within 2 hours! 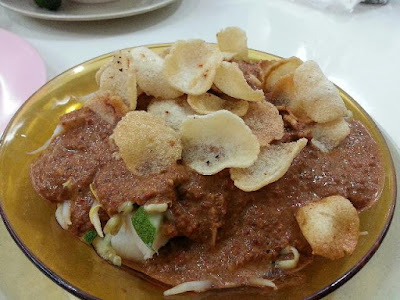 I am surprised that Gado Gado is from Tawau as the Indonesians often pride themselves as the inventors of this famed dish. My recent post about eating in Yogyakarta showed a traditional restaurant famous for gado gado only with various veggies and sauces. Losing wallet can be quite a nightmare. I like gado gado too.